The 21st Consultants Forum will offer attendees a full program of presentations, roundtable discussions and panels on what will impact the site selection process throughout 2016 and beyond. Led by an outstanding lineup of speakers from amongst today's most active Site Consultants, Real Estate Professionals and Industry Executives this forum will address the leading issues and best practices necessary for a successful Economic Development strategy. The Forum opens Sunday with an early evening Networking Reception and Dinner at the hotel. The Monday-Tuesday program is highly concentrated and designed to focus on those subjects and issues that will help you create a more affective economic development strategy. Each day's program includes a networking breakfast and lunch and a series of valuable networking breaks, where you have the opportunity to meet and talk with speakers and colleagues. 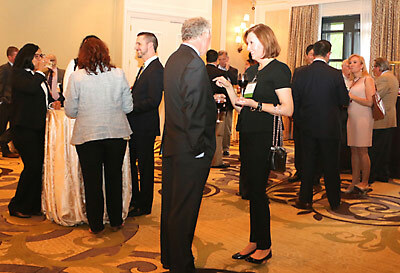 On Monday evening the Forum relaxes with a networking group Reception and Dinner. After dinner there is time to enjoy the strip and its many interesting sites and unique venues. Following Tuesday's Closing Lunch you are ready to leave for home or office.